Keen to get some oils to start your oily journey? Signing up as a MEMBER- this does NOT mean you will ever have to sell anything, just means you get 24% off prices! When you sign up WHOLESALE, you will get invited to our exclusive members’ Facebook group, a place to learn everything you need to know about our amazing products. 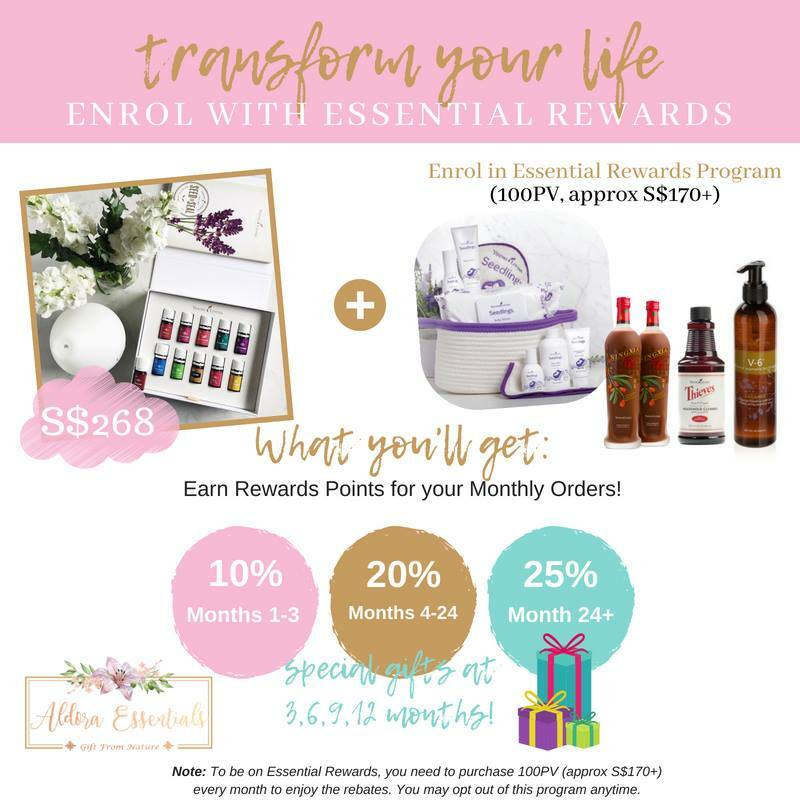 By purchasing a rewards kit you are signing up for a monthly ordering program that gives you the ability to earn points for free products, enjoy reduced shipping costs, and plan out your family’s oily budget. Plus if you are a part of this monthly program you are able to receive commissions off of growing your own business. As a member, you get to enjoy all membership perks and you only need to spend a minimum of 50PV (USD50 equivalent) in orders within a calendar year to maintain your membership. To begin, click this link and make sure the number 12416644 appears in both “Enroller” & “Sponsor ID” fields. If you are CURIOUS about the biz – we have a passionate team to mentor you. We have a robust business mentorship program and lots of resources for our community. Not ready to enjoy the 24% off all Young Living products and the relevant membership perks? You may opt to join as a Retail Customer and convert to become a member after you fall in love with the amazing products!